Tata Motors, largest commercial vehicle manufacturer in India, is also the leader when it comes to small commercial vehicles space. We would like to share details about the each sub-segment where the brand operates in. Back in 2005, Tata Ace was introduced, which changed the way last mile distribution happened in India. And since then Tata mini trucks are ruling the roads of India. 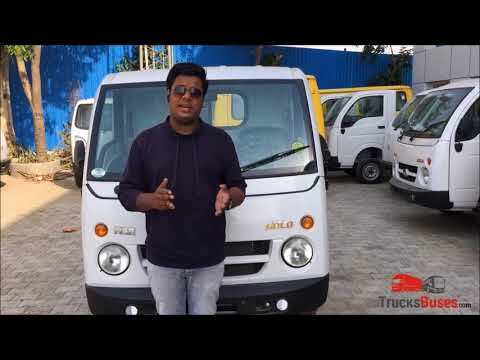 A lot of bigger and small siblings got added to the Tata Mini trucks family over the years, like Tata Ace Mega, Super Ace Mint, Ace Zip, Ace Magic, Ace XL, Mega XL, Zip XL and the recent introduction of Tata Ace Gold. The company recently celebrated the occasion of selling 20 Lakh Tata Ace mini trucks. Also widely referred to as Tata Chota Hathi, this vehicle has changed the lives of many Indians. It upgraded the customers of 3 wheelers to a safe and comfortable 4 wheeler mini truck and was even perceived to have got them respect and social status. Till today, Tata mini trucks are the undoubted leaders in small commercial vehicles segment in India, despite the entry of many automobile stalwarts in this mini trucks space like Mahindra, Piaggio, Ashok Leyland and Maruti Suzuki. Last year, Tata Motors launched the new XL series with longer body to cater to voluminous goods. Part of the XL series were Tata Ace XL, Zip XL and Ace Mega XL. The company latest introduction of original Chota Hathi – ‘Tata Ace Gold’ has also got a very good response from the market. Best in class Tata Ace mileage makes it comfortable on pocket too. Tata Ace Chota Hathi price in India starts from 3.88 Lakhs onwards (ex-showroom) for its base model i.e. Tata Ace Gold whereas Tata Ace HT price starts from 4.11 Lakhs onwards. For the higher load carrying capacity members, Tata Ace Mega price for the base model has been kept at 4.76 Lakhs, while Tata Super Ace Mint price starts from 5.55 Lakhs onwards. The smallest in the range, Tata Ace Zip price begins from 3.03 Lakhs onwards. Tata Pickups did not taste much success initially but the segment is now doing considerably well with the introduction of Tata Xenon Yodha. The earlier Tata 207 and Xenon were successful only in a few pockets but with the renewed focus and aggressive strategy on Tata Xenon Yodha, the volumes as well as market share of Tata Pickup trucks have gone up many fold. Tata Pickup price for Xenon Yodha starts from 6.40 Lakhs onwards for its base Yodha Eco variant and goes upwards for bigger 1250 Kg payload variant and Yodha Plus variants. As far as Tata vans and maxi-cab segment is concerned, Tata Ace Magic is the market leader defining this space. And recently Tata Motors had introduced Tata Magic Express with hard top, based on Magic Mantra platform. Tata Magic Express brings more power and acceleration than the flag ship model Tata Ace Magic. Tata Magic price in India starts at 5.30 Lakhs for the 8 seater variant, whereas Tata Magic Express has been priced at 5.74 Lakhs (ex-showroom). To get Tata Magic on road price, please do submit your sales enquiry for us to share the prevailing price at your location. Tata Winger is again a passenger van in the popular in the staff transportation & school van category. With front wheel drive, front independent suspension and powerful engine, Tata Winger offers utmost comfort to the passengers and driver onboard. Tata Winger 13 seater price for AC version begins at 12.19 Lakhs ex-showroom whereas Tata Winger AC 12 seater price starts at 12.70 Lakhs onwards. 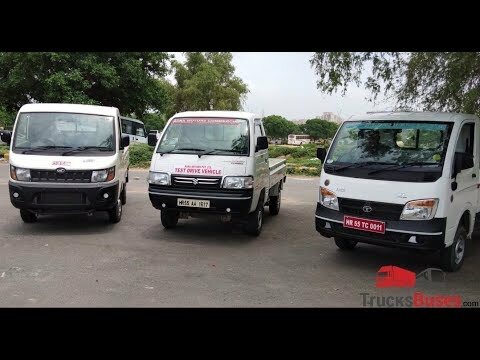 All these Tata Mini trucks, Pickups & Vans are manufactured at the company’s Pantnagar, Dharwad & Pune plants.